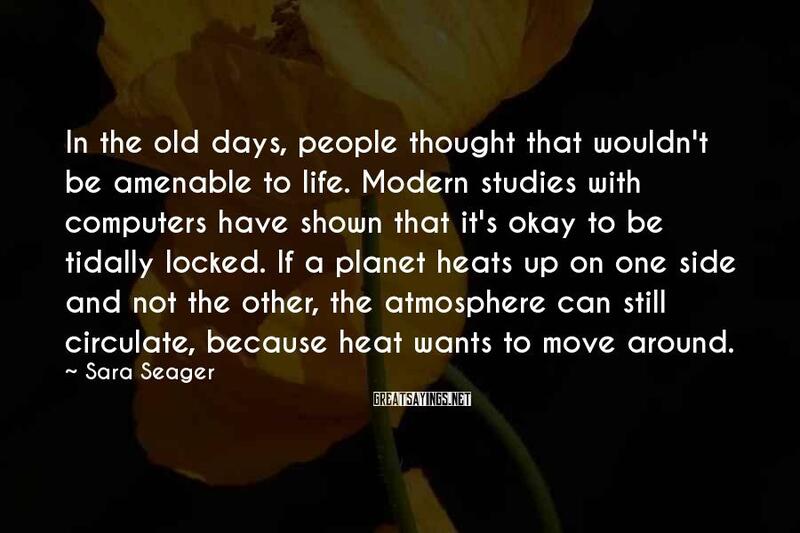 4 Sara Seager Famous Sayings, Quotes and Quotation. 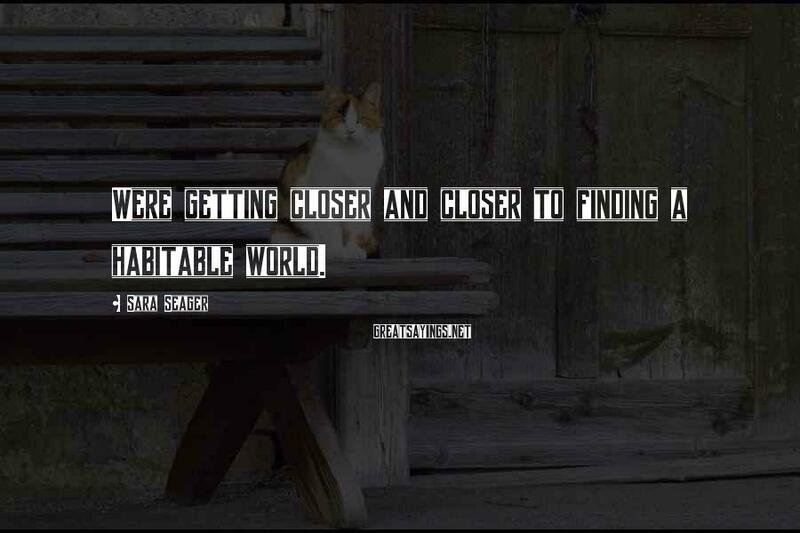 Were getting closer and closer to finding a habitable world. 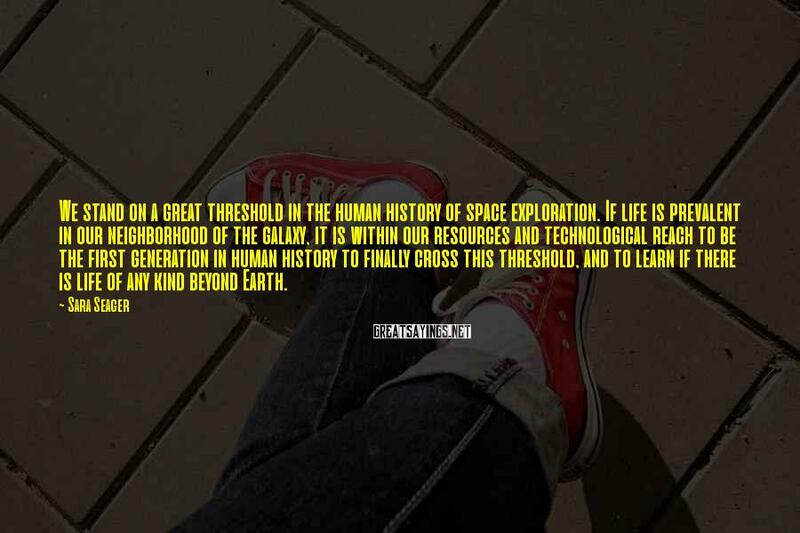 We stand on a great threshold in the human history of space exploration. If life is prevalent in our neighborhood of the galaxy, it is within our resources and technological reach to be the first generation in human history to finally cross this threshold, and to learn if there is life of any kind beyond Earth. 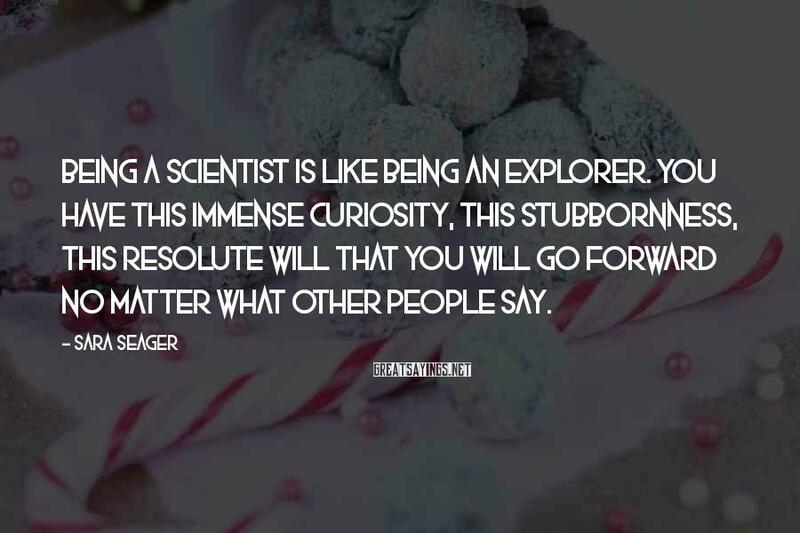 Being a scientist is like being an explorer. You have this immense curiosity, this stubbornness, this resolute will that you will go forward no matter what other people say.